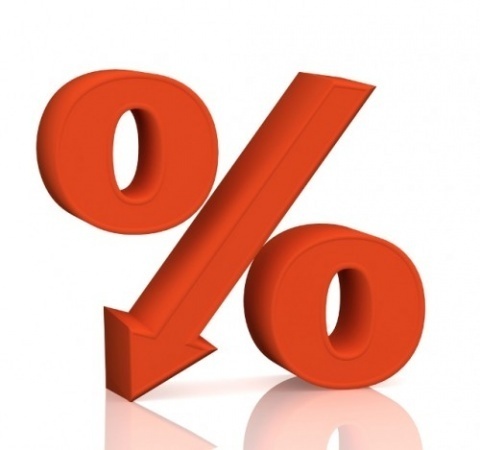 The consumer price index (CPI) in Bulgaria in May 2012, compared to April 2012, was 99.9%, i.e. the monthly inflation was -0.1%. The data was reported Tuesday by the Bulgarian National Statistical Institute (NSI). The inflation rate since the beginning of the year (May 2012 compared to December 2011) has been 1.6% and the annual inflation in May 2012 compared to May 2011 was 1.7%. The annual average inflation, measured by CPI, in the last 12 months (June 2011 – May 2012) compared to the previous 12 months (June 2010 - May 2011) was 2.9%. In May 2012, compared to the previous month, the prices of goods and services in the main consumer groups changed as follows: food and non-alcoholic beverages - an increase of 0.2%; alcoholic beverages and tobacco - the prices have remained at the level of the previous month; clothing and footwear - an increase of 0.3%; housing (rentals, maintenance and repair), water, electricity, gas and other fuels - a decrease of 0.1%; furnishings, household equipment and routine maintenance of the house - an increase of 0.2%; health - an increase of 0.4%; transport - a decrease of 2.2%; communications - the prices have remained at the level of the previous month; recreation and culture - a decrease of 0.2%; education - the prices have remained at the level of the previous month. The harmonized index of consumer prices (HICP) in May 2012 compared to April 2012 was 99.9%, i.e. the monthly inflation was -0.1%. The inflation rate since the beginning of the year (May 2012 compared to December 2011) has been 1.2% and the annual inflation in May 2012 compared to May 2011 was 1.8%. The annual average inflation, measured by HICP, in the last 12 months (June 2011 - May 2012) compared to the previous 12 months (June 2010 – May 2011) was 2.5%. In terms of HICP in May 2012 compared to the previous month the prices of goods and services in the main consumer groups changed as follows: food and non-alcoholic beverages - an increase of 0.5%; alcoholic beverages and tobacco - the prices have remained at the level of the previous month; clothing and footwear - an increase of 0.2%; housing (rentals, maintenance and repair), water, electricity, gas and other fuels - the prices have remained at the level of the previous month; furnishings, household equipment and routine maintenance of the house - the prices have remained at the level of the previous month; health - an increase of 2.4%; transport - a decrease of 1.8%; communications - the prices have remained at the level of the previous month; recreation and culture - a decrease of 0.3%; education - the prices have remained at the level of the previous month; restaurants and hotels - a decrease of 0.1%; miscellaneous goods and service - an increase of 0.1%. The price index of a small basket (PISB) in May 2012 compared to April 2012 was 99.8% and the overall increase since the beginning of the year (May 2012 compared to December 2011) has been 101.5%.